An enzyme-fortified laundry stain remover formulated to treat a wide variety of protein and organic soils. Designed for use in institutional and industrial laundry applications on sheets and towels, blankets, table linens, uniforms, rags, coveralls, etc. Effectively penetrates and dissolves soils prior to washing. 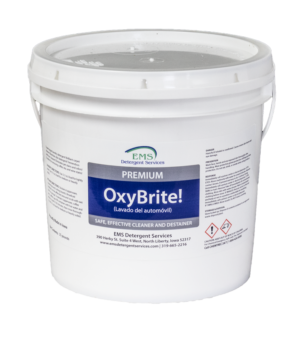 Fortified with high concentrations of solvents, surfactants, and a synergistic blend of enzymes for unsurpassed penetration and removal of stubborn soils. Thickened formula improves contact time and soil penetration. An essential product for maintaining clean laundry without damaging the fabric. Non-flammable, non-hazardous and non-corrosive. Biodegradable.